Combat Gent founder Vishaal Melwani tailoring. Vishaal Melwani sleeps four hours a night. It’s nothing new to him; when he was in high school, he would DJ at a club in Vegas from 4 a.m. to 7 a.m. and then go to class. These days, Melwani, 29, is awake in the middle of the night talking to factories overseas. And sometimes he is just awake obsessing over how he can grow his menswear business, Combatant Gentlemen. 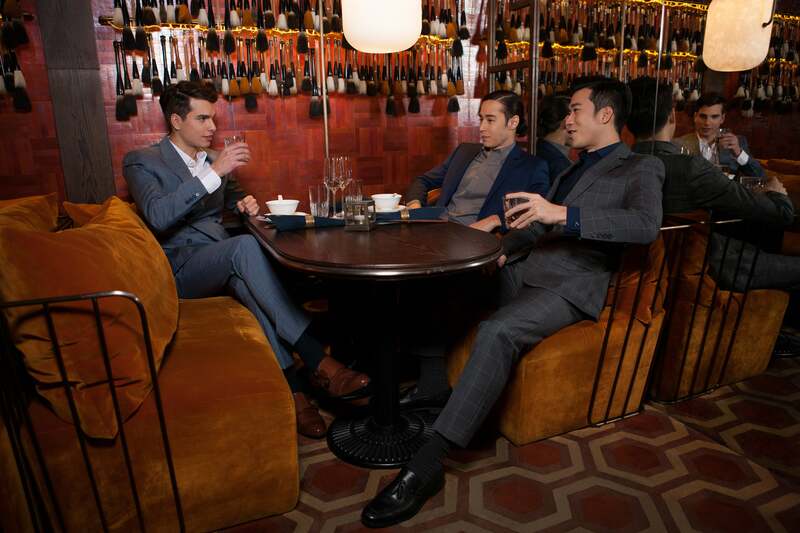 Combatant Gentlemen, or Combat Gent, is of the same generation of retail brands as Warby Parker, Everlane and Bonobos. The company offers competitive prices for top-quality goods by cutting out middlemen and, at least initially, sells only online to keep costs low. At Combat Gent, a customer can pick up a 100-percent Italian wool suit for $160, a white dress shirt made of Italian cotton for $30 or a 100-percent silk tie for $16. Its target customer is the ambitious, upwardly mobile, aggressively determined guy who doesn’t want to spend tons of money or time on shopping, but needs to look professional enough to get that next level promotion. Based in Irvine, Calif., the sheep-to-customer brand (yes, they own the sheep that the wool comes from to make the suits) launched in May of 2012 and has been doubling sales every year. In 2014, the company brought in $10 million in revenue and aims to hit $20 million this year. Melwani comes from an old school, traditional tailoring background. He began sewing at age 6, learning from his father who was born in India and trained by a master tailor in Hong Kong before he and his wife moved to Las Vegas in 1976. Melwani’s parents eventually became the first franchisees of designer Gianni Versace and, at their peak, owned 30 Versace storefronts across the country. Growing up in Vegas, the son of Versace store owners, had elements of glamour and intrigue, of course. Melwani would spend summers in Milan watching runway shows. Celebrity customers like Dennis Rodman, Mike Tyson and Jennifer Lopez would often come into the Vegas store. “We would have to rope off, curtain off everything,” he recalls. But never lost among the glittery aspects of fashion was the labor of tailoring. For Melwani’s immigrant father, teaching his son to sew was important; it was a skill that, if all else failed, could be used to make a living. It was also a way of connecting with his son on a personal level. “My friends would go to a baseball game with their dad. [And I’d say] well, my dad is teaching me how to do an overlock seam tonight,” Melwani says. The two would sometimes race to see who could sew a seam the fastest while blindfolded. As expected, battle wounds were commonplace. Melwani began working at a denim exporting company and then went on to launch his own clothing production company called Melwani’s MFG, which manufactured small batches of apparel orders in China. Typically, to manufacture in China, designers have to place orders in bulk quantities; Melwani was able to process small orders because of family connections. In 2010, he sold the company for approximately $3 million. With that money, he paid back the $1 million loan he had taken from his parents and took a trip to New York City to visit friends who had just graduated business school and were interviewing for jobs. His friends were trading suits with one another so as not to wear the same suits on second, third and fourth-round interviews. Melwani found the suit-swapping funny and suggested they take a trip to Men’s Wearhouse, known for its convenience and reasonable pricing. The experience shocked him. “I literally walked in and I was like, ‘Oh my god!’ It’s like 1987 slapped me in the face.” Immediately, he knew had identified his calling: To create a platform for men to buy stylish, inexpensive suits. The seed for Combat Gent had been planted. Melwani, along with his cousin Mohit Melwani and long-time friend Scott Raio, decided they would use the access they had to factories through Melwani’s family to come up with a better solution for their friends than Men’s Wearhouse. Where typical retailers cobble together each stage of the production process from different suppliers and manufacturers, Combat Gent owns the entire supply chain. The company shears its own sheep in Biella, Italy, and then sends the wool to a 100-plus-year-old mill in northern Italy where it is turned into fabric. 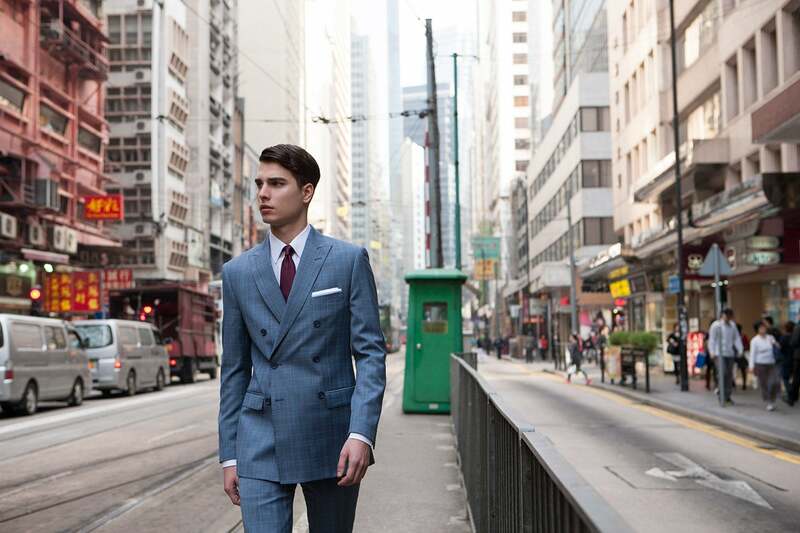 From there, the material is transported to Shandong, in Northern China, where it is cut and sewn by hand into suits based on the patterns that Melwani designed. Combat Gent has built the back-end software to support that kind of supply-chain process. Already, there are “a few” other brands using his supply-chain software, although he can’t say which. The front-end software is also pretty savvy; it allows a customer to quickly enter his measurements and get a recommendation on the right size to order. Over the years, the company has managed to snag the attention of some high-profile investors. In late 2010, when Combat Gent was still in beta mode, Melwani dropped into a fashion tech pitch competition in San Francisco. He was pushed up on stage by his friends and winged what was supposed to be a two-minute pitch. The judges -- from Gucci, Zappos, North Face and Apple -- loved the brand concept so much, they kept him talking for 37 minutes. Combat Gent won the competition, an investment from Gucci board member Enrico Beltramini, and a spot at Beltramini’s fashion technology accelerator, Ahead of the Fashion. The Zappos representative who was there also arranged for Melwani to meet with CEO Tony Hsieh -- a meeting that resulted in an investment from the Vegas Tech Fund, where Hsieh is a partner. CombatGent went on to raise $2.2 million in venture funding and now has 32 employees. Today, the company is eyeing new markets. Melwani says he is “actively exploring” a women’s collection and promises shoes are coming “very soon,” although he declined to offer a firm timetable.